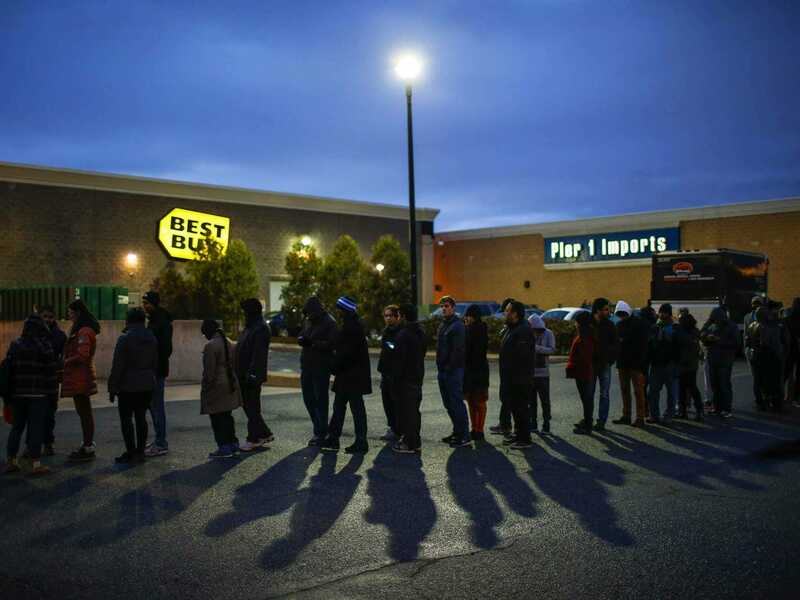 REUTERS/Eduardo MunozShoppers line up outside Best Buy before the store opens in Newport, New Jersey. 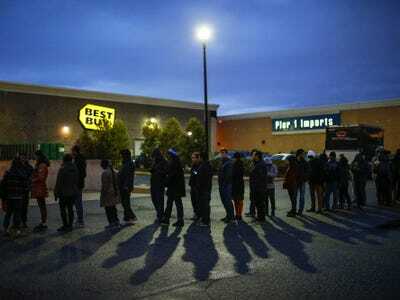 Today is “Black Friday” in the US, the day after Thanksgiving when Americans stampede to stores in their efforts to take advantage of what appears to be great deals. However, it’s a mistake for shoppers to think that they are somehow winning at the cost of the retailer. Sure, it makes sense to buy a good when the price is discounted. But that feeling of confidence is exactly what the retailer wants as they bombard us with not-so-good deals. Brand guru Martin Lindstrom explained on Bloomberg Surveillance that this psychology is the biggest way we’re being manipulated by the retailers. That discounted flat panel TV your about to buy needs HDMI cables and hardwood TV stand, all of which come with fat profit margins for the seller. Those long check-out lines are easy ways for retailers to sell you some batteries or a $US2 bottle of water. Keep in mind why we call it “Black” Friday. Back in the day, businesses used ink and paper to keep track of their profits and losses. Red ink meant losses. Black ink meant profits. Black Friday is when retailers red ink turns black.